Francesco Maria Piave (18 May 1810 – 5 March 1876) was an Italian opera librettist who was born in Murano in the lagoon of Venice, during the brief Napoleonic Kingdom of Italy. Murano is a series of islands linked by bridges in the Venetian Lagoon, northern Italy. 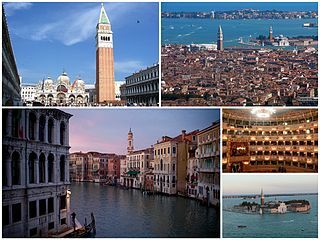 It lies about 1.5 kilometres north of Venice and measures about 1.5 km (0.9 mi) across with a population of just over 5,000. It is famous for its glass making. It was once an independent comune, but is now a frazione of the comune of Venice. Piave's career spanned over twenty years working with many of the significant composers of his day, including Giovanni Pacini (four librettos), Saverio Mercadante (at least one), Federico Ricci, and even one for Michael Balfe. He is most well known as Giuseppe Verdi's librettist, for whom he was to write 10 librettos, the most well-known being those for Rigoletto and La traviata . But Piave was not only a librettist: he was a journalist and translator in addition to being the resident poet and stage manager at La Fenice in Venice where he first encountered Verdi. Later, Verdi was helpful in securing him the same position at La Scala in Milan. His expertise as a stage manager and his tact as a negotiator served Verdi very well, but the composer bullied him mercilessly for his pains over many years. Like Verdi, Piave was an ardent Italian patriot, and in 1848, during Milan's "Cinque Giornate," when Radetzky's Austrian troops retreated from the city, Verdi wrote to Piave in Venice addressing him as "Citizen Piave." Johann Josef Wenzel Anton Franz Karl, Graf Radetzky von Radetz was a Czech nobleman and field marshal, a member of House of Radetzky in the Kingdom of Bohemia. He served as chief of the general staff in the Austrian Habsburg Monarchy during the later period of the Napoleonic Wars and afterwards began military reforms. Radetzky is best known for the victories at the Battles of Custoza and Novara during the First Italian War of Independence. He retired at age 90 and was immortalized by Johann Strauss I's Radetzky March. Together, they worked on ten operas between 1844 and 1862, and Piave would have also prepared the libretto for Aida when Verdi accepted the commission for it in 1870, had he not suffered a stroke which left him paralyzed and unable to speak. Verdi helped to support his wife and daughter, proposing that "an album of pieces by famous composers be compiled and sold for Piave's benefit". The composer paid for his funeral when he died nine years later in Milan aged 65 and arranged for his burial at the Monumental Cemetery. This statement suggests that, almost for the first time, the composer was going to be the one who determined "that drama essentially consisted of the arrangement of pieces and the clarity of the musical forms..[so that]..he began to become aware of the structure and architecture of musical composition, something which was not even clearly hinted at during the period with Solera. 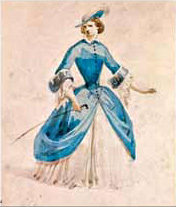 The composer began to control the overall dramatic arc of the drama and no longer would he "suffer under"  such librettists as Temistocle Solera, who wrote the libretti for five Verdi operas beginning with Oberto and up to Attila in 1846. Temistocle Solera was an Italian opera composer and librettist. In following Salvadore Cammarano as Verdi's main mid-career librettist, Piave firstly wrote Ernani in 1844, and then I due Foscari (1844), Attila (1846), Macbeth (the 1847 first version), Il Corsaro (1848), Stiffelio (1850), Rigoletto (1851), La traviata (1853), Simon Boccanegra (the 1857 first version), Aroldo (1857), La forza del destino (the 1862 first version), and Macbeth (the 1865 second version).